Eloquence is primarily the power of expressing strong emotions in striking and appropriate language, thereby producing conviction or persuasion. Undoubtedly, The Quran has this feature and even more than that which is I’jaz (إعجاز), an Arabic term for the act of rendering incapable or powerless. The I’jaz al-Qur’an (in context, inimitability of the Qur’an) refers to the truth that the Qur’an is of such high quality in content and form that one is unable to imitate it. The Beauty of the Quran`s word order, perfection of its conciseness, marvels of its style, the excellence of its expression, the power and truth of its meanings and the purity and fluency of its language are the evidences of the eloquence of it. In order to realise the degree of the eloquence of the Quran, we should analyse the people of Arabia when the Quran was revealed to our Prophet Muhammad (PBUH). In the 6th Century, The great majority of the people of the Arabian Peninsula were illiterate. However, people of Arabia were passing down their history by expressing the events of that time in a poetic style. Therefore, they were very good at eloquence and fine speech. The most respected of all tribes was the one who was the best in eloquence. Poetry and oratory had such an effect on the community that two tribes would battle at the word of him, and they would make peace at his word. Poetry contests were held to determine the best poems. The best 7 poems, called al-Mu‘allaqat al-Sab‘a in Arabic, were used to hung on the wall of Ka`ba . In such a time as this, the Quran was revealed to our Prophet Muhammad (PBUH). When these poets and orators of Arabia heard the Quran, they all agreed that the Quran has such eloquence that it cannot be the words of a human being. Most of them like Labīd (Abu Aqil Labīd ibn Rabī’ah), whose poems were hung on the wall of Ka`ba, became Muslim and ceased writing poems since the Quran, even one chapter, was sufficient to satisfy them. They could not achieve and will never achieve to do so. In order to make this conclusion, one does not necessarily need to be a native Arab or know Arabic. 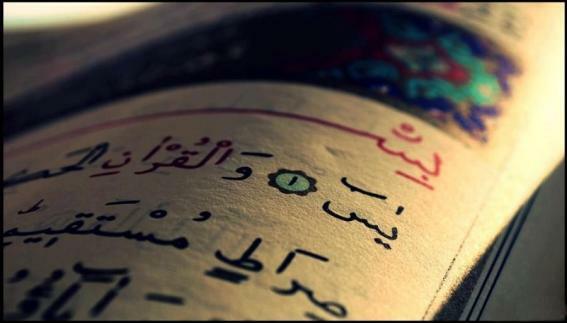 It is apparent that the Quran has eloquence and does not resemble the words of human being. 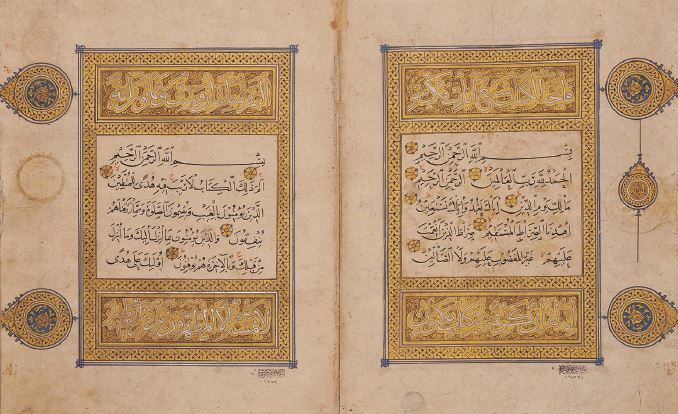 This feature of the Quran has been approved by the experts of eloquence in all centuries. If non-believers were able to dispute the Quran by producing the like of it, they wouldn’t choose the most dangerous way, which the way of war. Instead, they would choose the easiest way, which was writing one or two lines, but they failed.